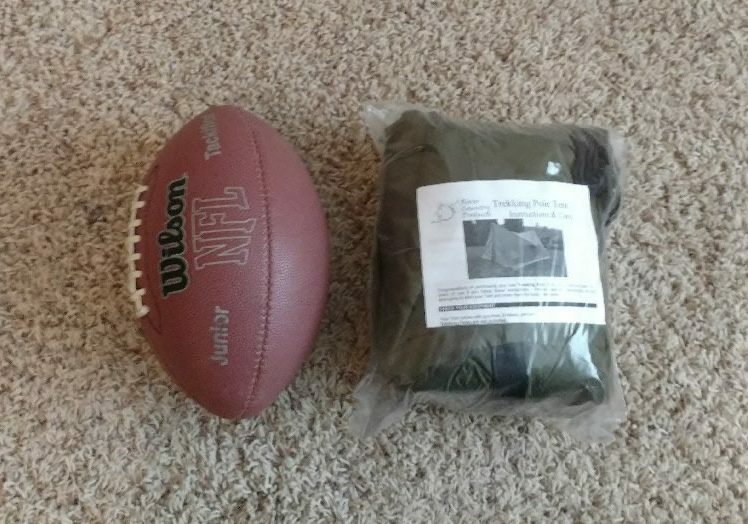 Home / Backpacking and Camping Blog / How to Fold a Backpacking Tent to smaller than a kids football in under 2 minutes. How to Fold a Backpacking Tent to smaller than a kids football in under 2 minutes. “How do you roll your backpacking tent so small it is smaller than a kids football in under 2 minutes”? Step 1: Lay your backpacking tent flat with the tent floor on the ground and all cords and fabric laying within the four corners of the tent floor. Step 2: Fold the edges inward so that all cords and fabric are contained within the tent floor. Step 3: Fold in one more time. Step 3 B: This leaves you with a long flat tent with all loose fabric tucked inside the tent. Step 4: Now fold edges inward again. This further contains all loose parts of the tent so nothing can come out when rolling the tent. Step 5: Now fold the edges together again creating a square. Step 6: Finally fold the edges together one more time. Step 6 B: Forming a small rectangle. Step 7: Roll or fold the rectangle up and tie with a piece of cloth. Step 7 B: Tie with a piece of cloth. and compare to a kids football. There it is, how we roll almost every tent before we bag it and ship it to you. Laugh all you want, but it took us years to become experts in the tent rolling field. In our experience, if you skip any of the above steps, instead of a neatly rolled backpacking tent that is a pleasure to unroll and use next time you go camping, you will end up with a wadded up ball with strings and fabric sticking out all over the place, that won’t fit back in its bag and is a tangled mess next time you go to use your tent. Next post: Tips and Tricks for reducing tent condensation.